Fixed braces are commonly referred to as “Train Track Braces”. They are popular with teenagers and are usually metal. They can be brightened up with different colours to make your smile unique. We have a variety of metal brace systems to choose from. The brackets are the individual components that make up the brace and are stuck to the teeth. You won’t be able to take the brace off during your treatment. When the brace is first fitted, it may feel strange and slightly uncomfortable. It will take a few days to get used to them as usually they tend to rub against the inside of your lips and/or cheeks. Your orthodontist will give you some special comfort wax to prevent this rubbing which should make it more comfortable. You may also find that, for the first few days, your jaw aches and teeth might be slightly tender because of the pressure of the brace. If this is the case, you may find a painkiller helps. You can take the same painkiller that you are used to having to treat a headache. If the discomfort lasts longer than a few days, though, you may wish to go back to your orthodontist, who can then readjust the brace. Because your brace provides food with more places to hide, you’ll need to be extra careful with your hygiene routine. Brushing your teeth twice a day with a fluoride toothpaste is essential, and you may also find using a fluoride mouthwash last thing at night is helpful to protect your teeth while you sleep. If you don’t look after your teeth while you’re wearing your brace, they may become permanently stained. You should maintain regular check-ups with your general dentist to ensure that this is prevented. Once the brace is taken off, you will need to wear a retainer brace, which is removable and/or fixed. Damon is a type of brace system also known as self-ligating braces, that can decrease the total treatment time and shorten the treatment duration. With self-ligating braces, part of the bracket itself holds the wire in place without the need for elastic-rings or steel ties. Some brackets have doors or “slides.” Others have clips. The Damon braces eliminate the need of elastics bands due to this “gate” mechanism. Some of the claims about Damon brackets are that they won’t cause pain as they move your teeth, you won’t need to have an expander or have permanent teeth removed, you won’t need headgear or rubber bands to fix your overbite, and that your treatment will be much shorter than with regular braces. 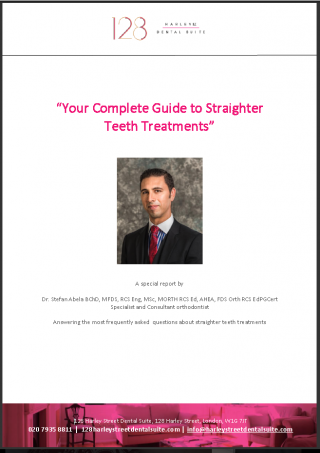 Ideally, the plan is outlined at the start of the treatment by the specialist in orthodontics and you can ask any questions that you might have. 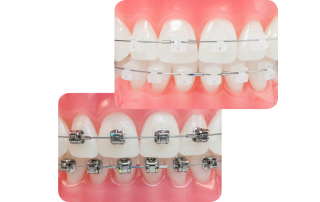 How do fixed braces compare to the other brace systems?